I am writing on behalf of Greater City Providence in regards to the petition being heard by the City Council Ordinance Committee on Monday, March 3rd to change the zoning of Lots 344 and 345 on Zoning Map 18 from Waterfront Mixed-Use to Public Space. 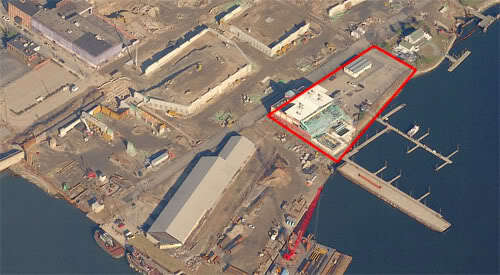 These state-owned lots are located on the waterfront at Fox’s Point next to India Point Park. We submit that it is premature to consider any ad-hoc zoning changes to these waterfront lots until the highest and best use of the entire Providence waterfront is decided in a charrette format. The aforementioned lots are part of the moratorium area established by City Council Resolution 385, approved July 10, 2007. It declares that a moratorium will be placed on any development plans, construction, or demolition permits that do not comply with the adopted Zoning Ordinance in effect as of the date of the resolution’s adoption. Any development as a result of the zoning change would not be effective due to the stipulations of the resolution until its expiration which is currently, at the latest, July 10, 2008. Superceding the aforementioned expiration date is the stipulation that the resolution will be effective until the adoption and approval of amendments to the City’s Comprehensive Plan and Zoning Ordinance resulting from the Fox Point/College Hill/Wayland Neighborhood Plan and any Waterfront Vision Plan. The charrettes that are the forum for creating these plans should be allowed to proceed in order to ensure that community input is maximized. To paraphrase the resolution, Providence’s waterfront has a high amount of public, economic, and historic significance, something of which the entire city has a stake. In addition, Providence has a compelling interest to ensure that the goals of the Comprehensive and Neighborhood Plans are met. Based on the risk that this proposed zoning change could have in conflicting with the waterfront/neighborhood vision plans for these lots, plans that the current moratorium emphasizes are basis for the waterfront’s long-term future, it is premature for this petition to be considered and should therefore not be approved at this time. However, we also acknowledge that additional protection for these lots may be required. Therefore, we support an extension of the existing moratorium through at least July 10, 2009 in order to allow the Planning Department opportunity to schedule and hold the charrettes for this area and allow the public and area stakeholders an opportunity to weigh in on the area’s future. Further, we understand that these parcels are currently owned by the state through RIDOT and that the state is facing a (to put it lightly) tough economic year. This economic stress is surely putting great pressure on the state to sell this property. We urge the Mayor and the City Council to work with the state to attempt to find a way to transfer this land to the city, of course understanding that the city’s economic situation is not any better than the state’s this year. Allowing the city to control this land and become the eventual developer of this land would ensure that the public’s wishes as set forth by the charrette process would be fulfilled. Greater City Providence promotes the growth and development of the Greater Providence region in as urban a pattern as possible. Special emphasis is placed on the development of more walkable, affordable, and vibrant neighborhoods that are served by more robust mass transit and fueled by greater economic opportunity. Our primary focus is participating in the zoning and planning process to ensure that the Providence of the future is an urban environment and not a city plagued by inconsistent, uninspired, automobile-centric, and suburban-style development.